I’ve long been a supporter of Project AWARE. They’ve done a great job encouraging conservation and promoting responsibility among divers for the underwater world. 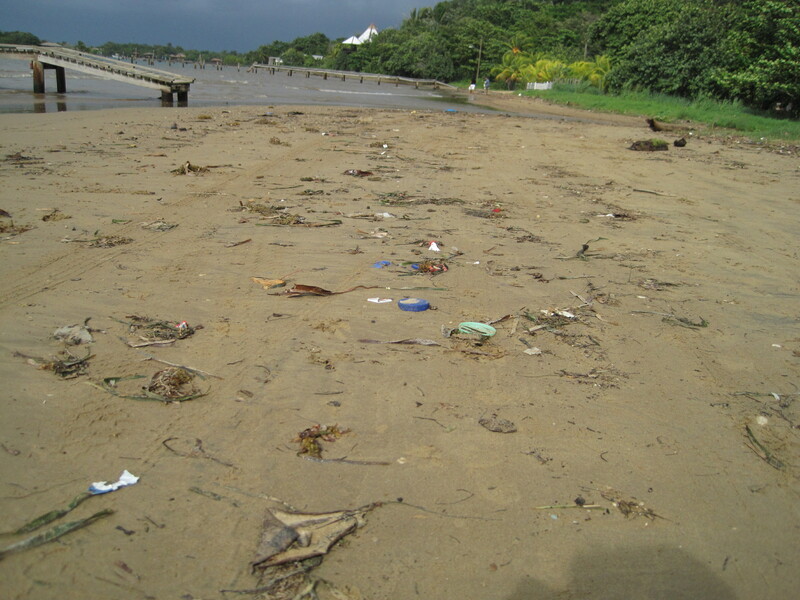 Project AWARE recently relaunched, focusing on aquatic debris and shark conservation. 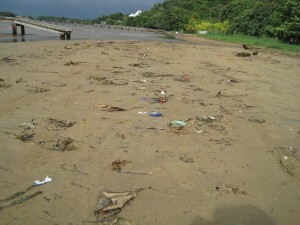 Aquatic debris is a tremendous problem. A large portion of it is plastics. Plastics that won’t biodegrade for a long time. Plastics that can trap animals. Plastic that might look like food, but when eaten can harm or kill animals. Project AWARE has sponsored aquatic cleanups for a long time. With their relaunch, Dive Against Debris has become one of their primary focus areas. 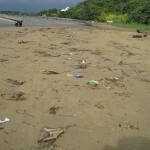 Debris washed up on shore after a storm. Project AWARE's Dive against Debris program helps aquatic enthusiasts clean up our water ways. I’ve personally sponsored 6 cleanups in Utah. Our first cleanup, in partnership with the Living Planet Aquarium, picked up 1380 pounds of trash from Bountiful Pond, near Bountiful, Utah. Our second cleanup, along the Jordan River Parkway in 2004, collected 1550 pounds of trash. Even in a land-locked state like Utah, our water ways need to be cleaned up. Project AWARE’s Dive Against Debris program helps us do just that. Project AWARE’s other key focus is shark conservation. Sharks are endangered; their primary threat being man. Sharks are sleek and elegant in the water. They’re not the blood thirsty man-eaters that we’ve seen in the movies. Sharks are an apex predator, staying at the top of the food chain. They help remove unhealthy marine animals and provide balance to the ecosystem. Unfortunately, they are collected as by-catch or caught solely for their fins for shark fin soup, an Asian delicacy. Sharks mature late in life, breed infrequently and have, relatively, few young. When sharks are caught as by-catch (caught as part of normal fishing operations, but not the target fish species), they are often tossed overboard dead. When harvested for shark fin soup, they are caught, fins removed and then often dumped overboard…still alive. Either way, they are out of the ecosystem. As an apex predator, that has long-reaching impacts. That means there are more lower-level carnivores, which result in fewer herbivores. The lack of herbivores means that there is more algae, which is at the base of the food chain. Excessive algae can smother reef systems. You can learn more about Shark Conservation in the new Project AWARE Shark Conservation Specialty Diver course. You can also help conserve sharks by signing the petition on the right side of this page. Project AWARE still has ongoing programs, such as the Project AWARE Specialty and Project AWARE Coral Reef Conservation Specialty. While these are both PADI Specialty Diver courses, they are also open to non-divers as well. When I conduct PADI Instructor Development Courses (IDC), I include a Project AWARE workshop. That typically includes at least one PADI Specialty Course and reviewing how to teach the Project AWARE courses.